Arsenal did well to make it to the Europa League semis last season, but Atletico Madrid eventually proved to be a big catch for the Gunners. Arsene Wenger is no longer in charge of the capital club and it remains to be seen if new coach Unai Emery is going to help the Gunners bring glory days back to Emirates Stadium. The Premier League side produce much better displays at home than on the travels and regardless which players will be deployed in the starting line-up, we believe that there is a big value in betting on the Premier League outfit. Vorksla, on the other hand, face an uphill task in their Europa League opener and given the quality of the home team, we predict that the visitors are going to return home empty-handed. The two sides have never met before in European competitions. Founded in 1955, Vorskla Poltava are Ukranian team who compete in the Ukrainian Premier League. The Zeleno-Bili (Green-Whites) are not considered one of the best Ukrainian sides and they have always been in Dinamo Kiev and Shakhtar Donetsk’s shadow. 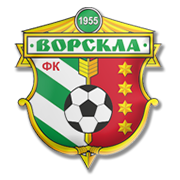 Vorskla Poltava have yet to win the national championship, but it has to be noted that they finished third on two occasions (1996/1997, 2017/2018). Speaking of the Ukrainian Cup, Vorskla Poltava won the competition in 2009, with the team beating star-studded Shakhtar Donetsk in the title game. Vasyl Sachko scored the winner in the 50th minute of the match. Vorskla play their home games at Butovsky Vorskla Stadium, the venue which was opened back in May, 1951. The capacity of the stadium located in Poltava is 24,795. Vorskla’s largest group of fans is Crew of Golden Eagle. The Ukranian side wear white shirts and white shorts when playing at home, while their away colours are green and white.